parsley, onion, celery, paprika & cumin. 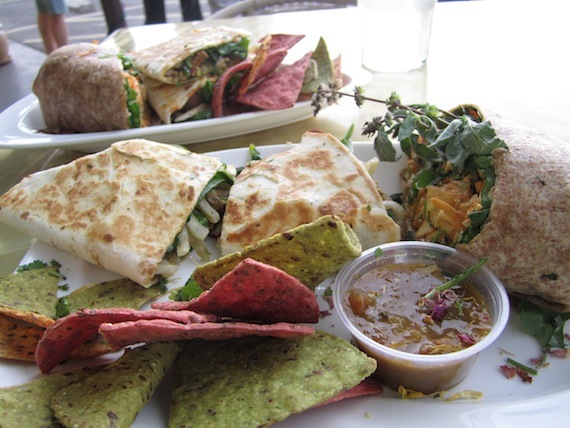 The Jace Wrap, named after a familiar customer, is essentially a “Chicken-less” salad stuffed in a large wrap. The real standout in this wrap is the spice combination she uses for the tofu. It was both tasty and addicting. I am sure you will not file this one under the “Bland” department. This was extremely moist and chocolaty. If those are two things you like, then you will love this. I loved it. Definitely not for the faint of chocolate. After a long drive from Los Angeles, the second we stepped into Pura Vida we were warmly welcomed and treated with great service. Luckily for us, the quality of their food matched their wonderful service. Next time we are there I’m definitely picking up some empanadas, though they are often out because of their popularity. Somehow, I found the empty lots and closed businesses a perfect backdrop to the savory meals we consumed. Then again there are plenty of tables inside if you’d rather pretend you are somewhere else, but those too were full by the time we departed. for more from fred, follow him on twitter @cycled! 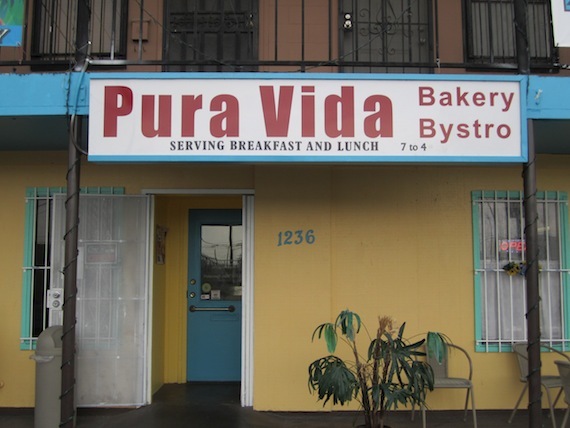 oh, and follow @PuraVidaLV on twitter as well. I went there on my most recent trip, though I wasn’t really impressed. I felt like it was food I could have replicated, and while the staff was nice, the service was not very good. 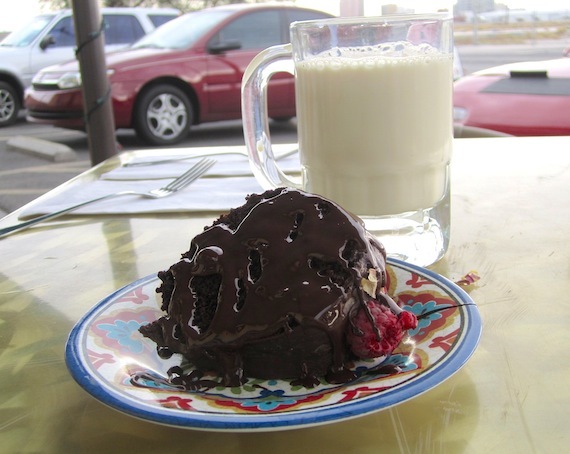 I went there when they first opened for brunch… OMFG the chocolate waffle was a thing of beauty. I highly recommend that one person at the table get that if you go with a group for brunch…. might be too sweet for your whole meal, but damn! The french toast and regular waffle were super too. WOWO ~ very cool thank you for driving to Vegas ! Pictures will speak for it self ! and Thank you for such a nice write up ! Thank you so much so very much for taking the time ~!